Had the exciting opportunity to conduct this Little Red Dot Kitchen review. Ever had bak gwa before? If not, then you are in luck because Little Red Dot Kitchen, the creator of this beautifully made package above, just landed in the bay area. Yes, we are fortunate because every bak gwa available out there is imported in, or smuggled in through customs on the plane. The contents in the bag in particular is pork, LITE. I want to draw your attention to the image below. Notice how there is much variance in terms of the levels of coloration, marbling, moisture, and grill marks. How to eat? : Unlike the typical jerky we’re used to, there is no “going with the grain.” Next time you chew jerky, notice how to pick apart a bigger piece, you want to bite down, and tear the meat that is parallel to the way the strands are running. Otherwise if you tear the other way, your mouth is in for a tug of war match with the jerky. For this pork bak gwa, there is no need to inspect where the strands are running. You can chew or pick apart the jerky in any manner you want. Texture: To describe the texture of this to someone who has never eaten bak gwa is a challenge I am ready for. Since there is so much variation in the way the bak gwa is composed, each bite does not yield the same result. However, the consistency is typically the same in terms of the bak gwa being juicy and moist. As you bring the bak gwa to your lips, there is a slight stick texture which is the remnants of the marinade and grill. You might get a crunchy part, which is the natural semi-burned black parts of the bak gwa. Or you might get a super soft texture which means you chewed into the marbling fat of the bak gwa. 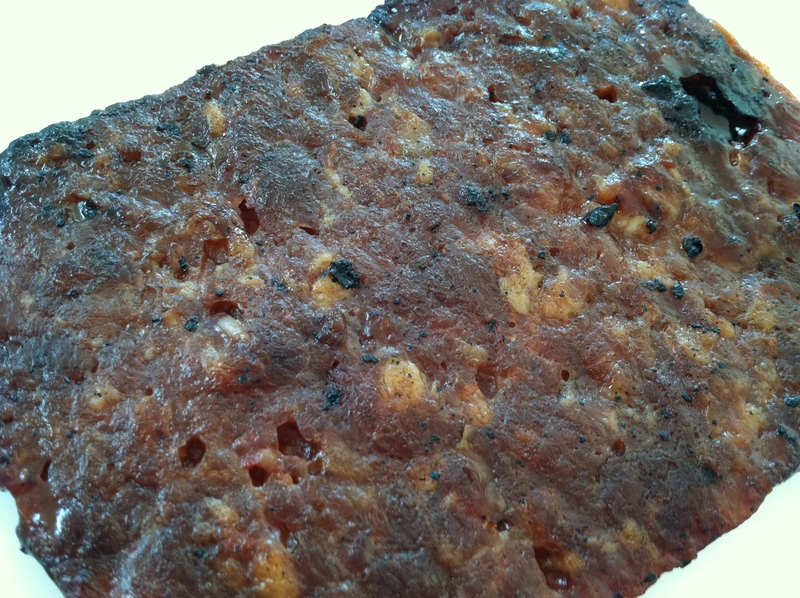 The crunchiness is rare and complements the otherwise soft texture well. The meat breaks with each chew, not like that of a crunchy cookie. The ease of separation between each bite can be described as that of a fruit leather. Have you ever had bak gwa before? What are your impressions and experience? Comment, below. Stay tuned for an interview with the founders in the coming weeks! 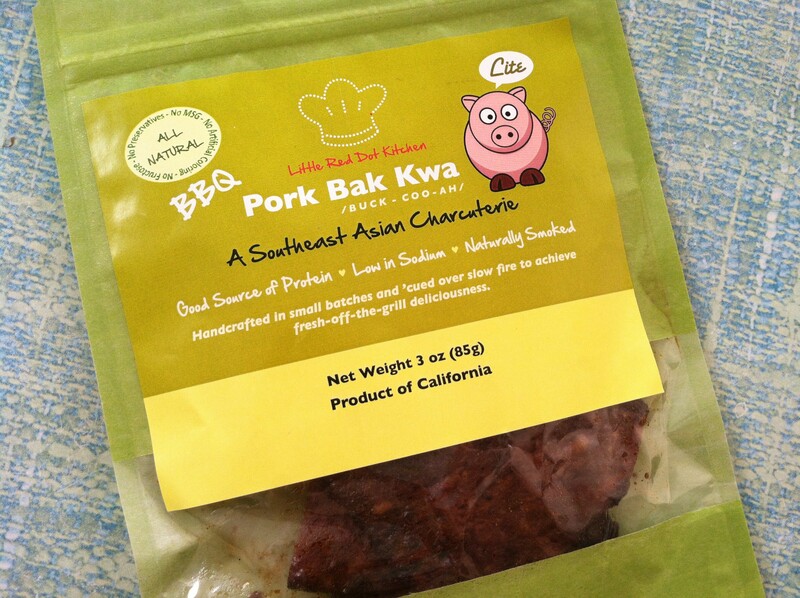 Interesting… I’m not sure if I’ve tried bak gwa before, but I definitely learned about it through your post. “your mouth is in for a tug of war match with the jerky” haha!